All tailored tours are hand crafted to your individual travel needs. You may completely customise the itinerary and choose to include some or all of your touring requirements. This example tailored tour can be modified and priced for your group, please fill in our tailor made tour enquiry form. This personal expedition begins in exotic Istanbul and, accompanied by a private driver and guide, makes a leisurely journey through history, heritage and natural wonders. Welcome. You will be met at Ataturk International Airport and transferred to your hotel. Spend this evening at leisure. Discover the city spanning two continents on a Bosphorus Cruise, along the shores lined with Ottoman palaces, fortresses, old wooden villas, gardens and restaurants. Visit Beylerbeyi Palace summer residence of Sultans and take in the panoramic views over Istanbul from Camlica Hill. The Blue Mosque isn’t blue at all. 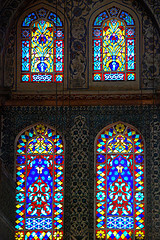 It is named for the beautiful Iznik ceramics that adorn its walls. Guided tour of UNESCO World Heritage listed old city of Istanbul. See the breathtaking Blue Mosque, Byzantine Hippodrome where chariots once raced, Hagia Sophia museum, place of worship for 900 years, and the startlingly opulent Topkapi Palace. Haggle at the world’s oldest covered market, the Grand Bazaar. Depart early on a 4 day/3 night escorted tour and spend this afternoon visiting the Gallipoli WWI battlefields. Pick up between 06:30 AM from your hotel in Istanbul and then we then depart for afternoon tour of Gallipoli. The World War I battlefields of Gallipoli are now a serene site. 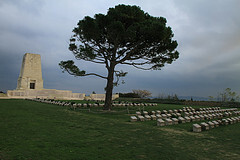 Visit the Lone Pine Australian Memorial, Chunuk Bair New Zealand Memorial, ANZAC Cove, Johnston's Jolly and The Nek. The Kabatepe Museum includes an interactive 3D display that allows visitors to experience Gallipoli’s WWI battlefields as the soldiers did. 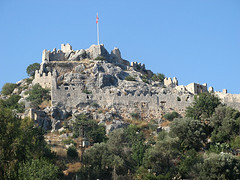 Tours of Troy and Pergamum, before continuing onto your choice of Selcuk or Kusadasi. Visit the ancient city of Troy, famous for the legendary Trojan horse from the times of Beautiful Helen, Queen of Sparta and the ancient town of Pergamum with its magnificent acropolis and one of the steepest theatres in the world. Its impressive temples, library and medical facilities made it a renowned cultural and political centre in its time. Then we will enjoy a display of locally handcrafted leather goods. Encounter life as the ancient Greeks knew it on a guided tour of Ephesus. Visit the site of the Temple of Artemis and soak up the mystical atmosphere of this ancient city and its theatre. Later continue to the House of the Virgin Mary, where the mother of Jesus is believed to have spent her final days. Leaving Kusadasi this morning pay a visit to the Cotton Castle at Pamukkale and the nearby Roman thermal resort of Heirapolis with its magnificently preserved necropolis, intact streets and the thermal mineral baths. 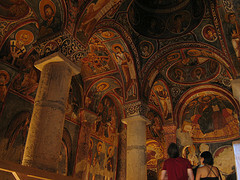 A Greco Roman theatre and the Basilica of St Philippe are highlights. Free day to make your own way to Kas. The bus ride takes about 4 hours and enjoy the afternoon at leisure at the picturesque and peaceful fishing village of Kas. Ruhi Bey is a popular local restaurant, serving a great selection of Turkish cuisine. The restaurant is well known for its fresh fish dishes, scrumptious mezze and delectable desserts. 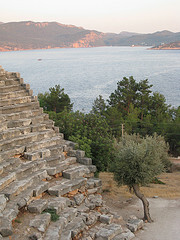 The sunken Lycian necropolis is your prime destination on a relaxing cruise today. 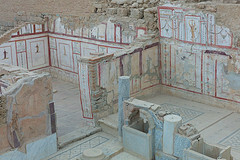 Included is the sunken city of Dolchiste, destroyed by an earthquake during the 2ndcentury. Although it was rebuilt and flourished for some time during the Byzantine era, it was abandoned in the end due to piracy. A free day to make own arrangements for bus travel to Antalya. The bus takes about 4 hours along the coast and enjoy a free day discovering this vibrant Mediterranean coastal town. Today’s Antalya day tour takes in the Roman amphitheatre of Aspendos, still in use today, the richly decorated ruined city of Perge, with its Hellenistic gate, and ancient Pamphylian city of Side, where Roman baths now house a museum. After breakafast hotel, morming at leisure. Afternoon transfer to airport for onward flight to Cappadocia. On arrival you will get a private escorted transfer to your cave hotel. A day tour taking in panoramic views of Pashabagi and Devrent Valley, visiting Byzantine era Uchisar Castle and UNESCO World Heritage Goreme Open Air Museum. Later, stop at the tradition Turkish village of Esentepe and Avanos, renowned for its beautiful ceramics since the age of the Hittites. 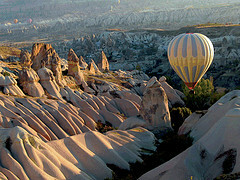 An early morning balloon flight offers a truly memorable experience, sailing over the majestic landscape of Cappadocia’s astounding valleys, caves and fairy chimneys. Today, enjoy the Pigeon Valley vista and a light trek through remarkable Red Valley. Explore the citadel at Kaymakli with its underground city, before paying a visit to Cavusin Village where the Church of St John the Baptist is located. This morning takes a leisurely pace. Enjoy the magical hotel views, take a stroll into town or soak up the sunshine on your terrace. This free half day is a chance to relax and prepare for the connecting journey ahead. This afternoon, we take a flight to Istanbul. 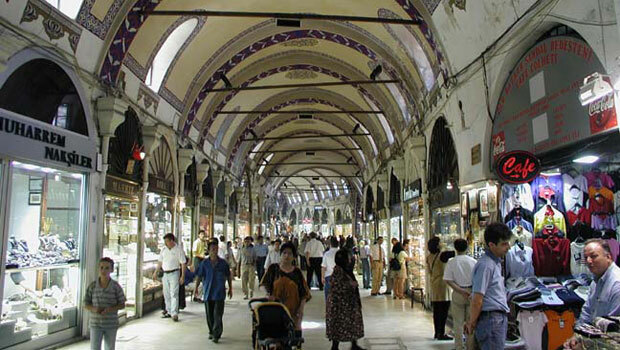 We recommend a self-visit to the famous Grand Bazaar which is only a couple of hundred meters away from your hotel for your last minute souvenirs. A relaxing free day in Istanbul to further explore this colourful destination at your own pace. 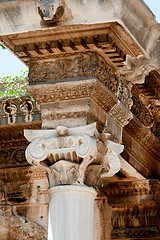 Recommended sites include Dolmabahce Palace and Istiklal Avenue. One last chance to immerse yourself in the exotic atmosphere of Istanbul before transferring to Ataturk International Airport for your journey home. You can depart any day of the week. Please Contact us for a quote for your group.